The SOS Carrier of Prof. Alpha transports Wonder Woman to the past, the future, and to another dimension to take care of a trio of menaces. 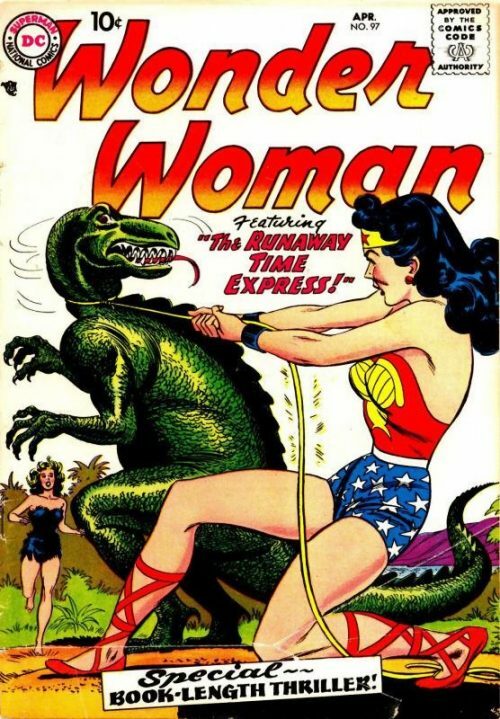 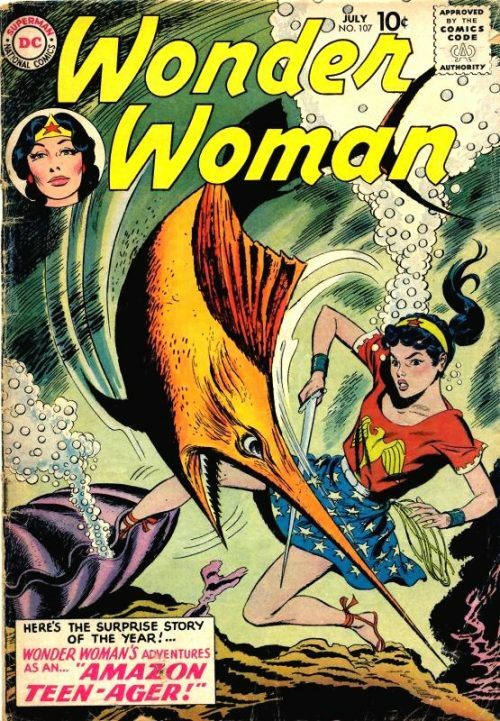 Testing the Amazon invention that brings the user to anyone in need, Wonder Woman first helps tame a Tyrannosaurus Rex in the Stone Age. 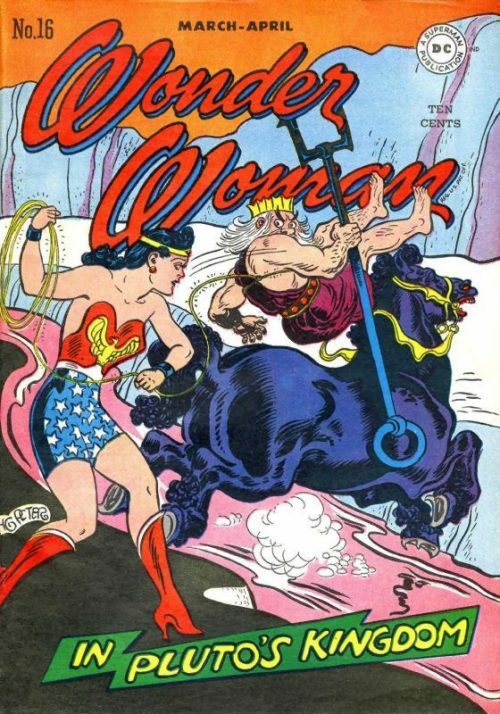 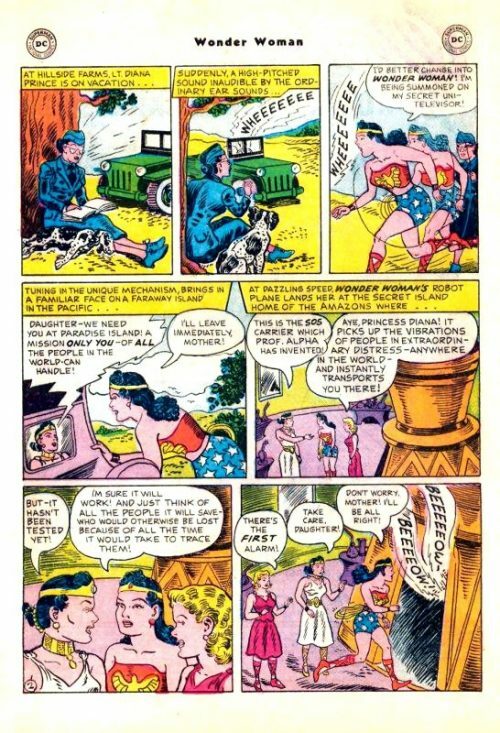 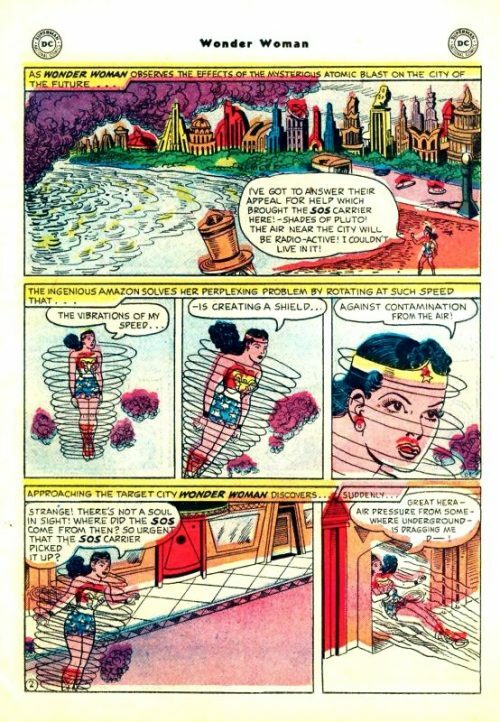 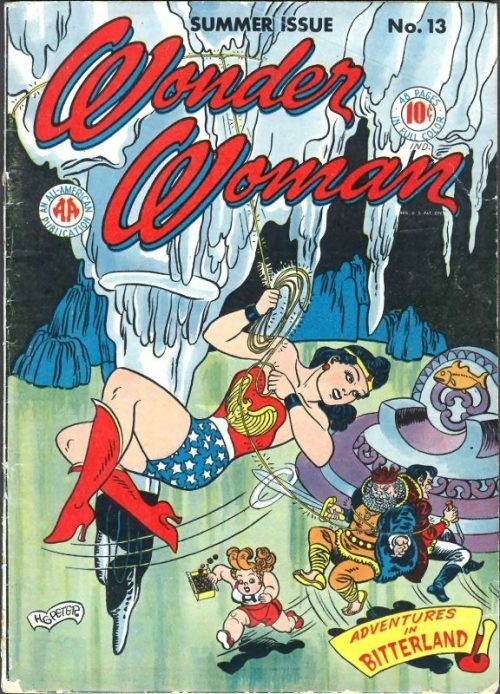 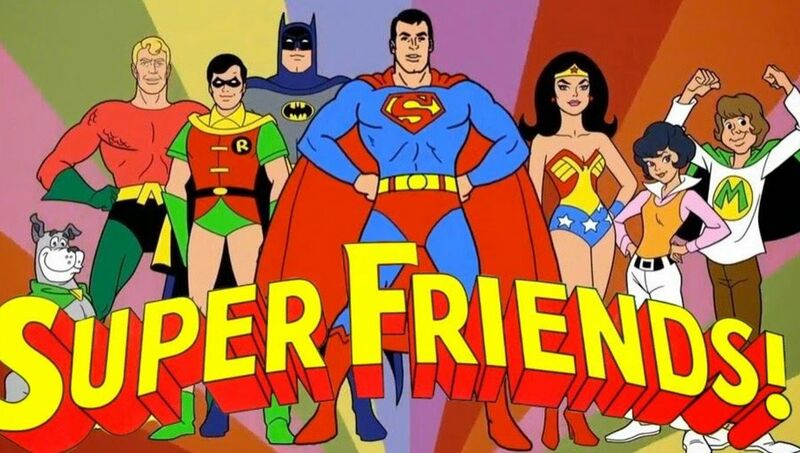 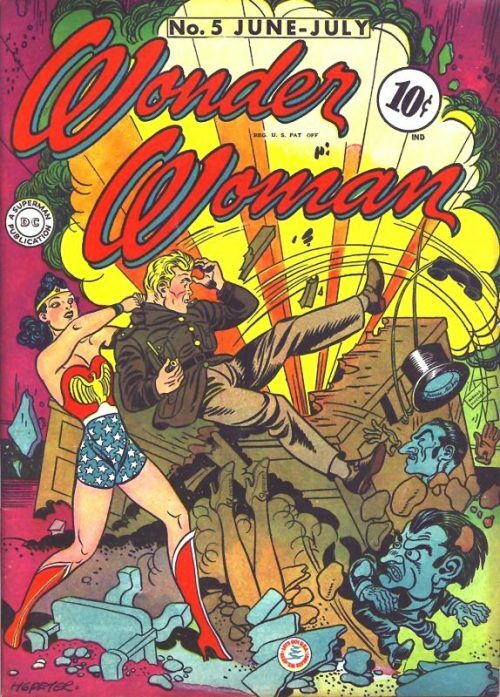 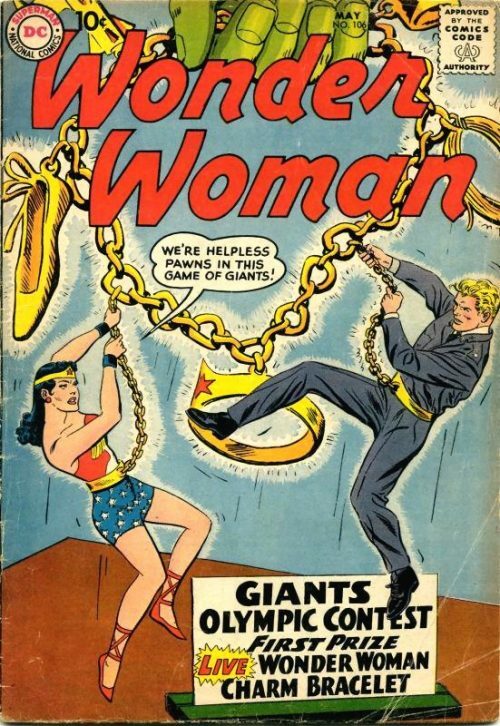 Next an SOS carrier brings Wonder Woman far into the future, where atomic attacks from Jupiter have caused plants and insects to grow gigantic. 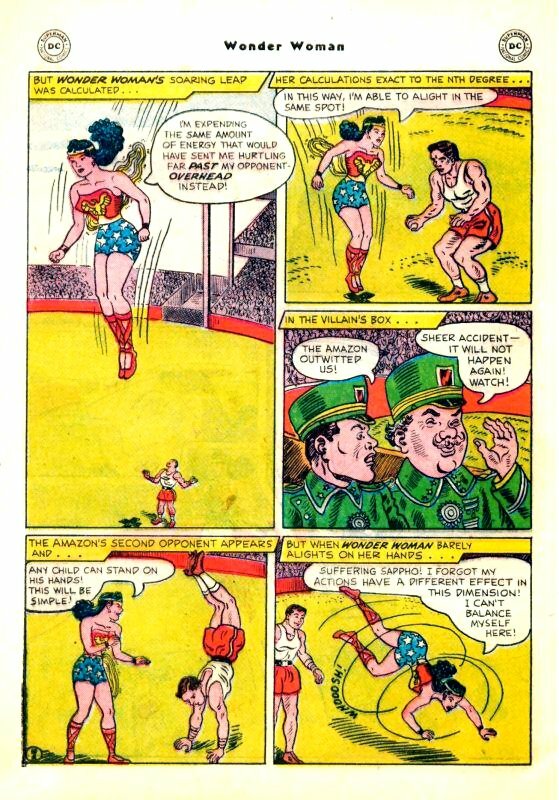 Finally Wonder Woman fights to inspire the people of a parallel world against a brutal dictator, while the SOS carrier continuously sends a distress signal – from Paradise Island.